Still, sports and physical activity brings many health benefits such as reducing or preventing risks related to chronic disease. It has also been demonstrated that exercise plays an important role during and after cancer treatment by improving patients’ quality of life (helping with anxiety, depression, sleep, self-esteem, fatigue, etc.) and by reducing recurrence rates. Given the benefits of exercise, the French Health Department has set up several national programs to raise awareness and encourage people to be more active in their daily lives. HUBER 360® EVOLUTION helps people ease back into physical activity or improve performance for athletes. Thanks to a comprehensive functional assessment, the physiotherapist identifies patient’s abilities and sets objectives. The many possible settings then allow the physical therapist to plan interactive sessions adapted to the patient’s physical condition to work on flexibility, strength, balance, coordination, or even endurance, using more cardio-oriented exercises. Furthermore, a study has shown that HUBER 360® EVOLUTION can help change body composition by burning fat and building muscle mass (ESP Consulting, 2010). The patient can learn their limits and see their progress from session to session, increasing their motivation. 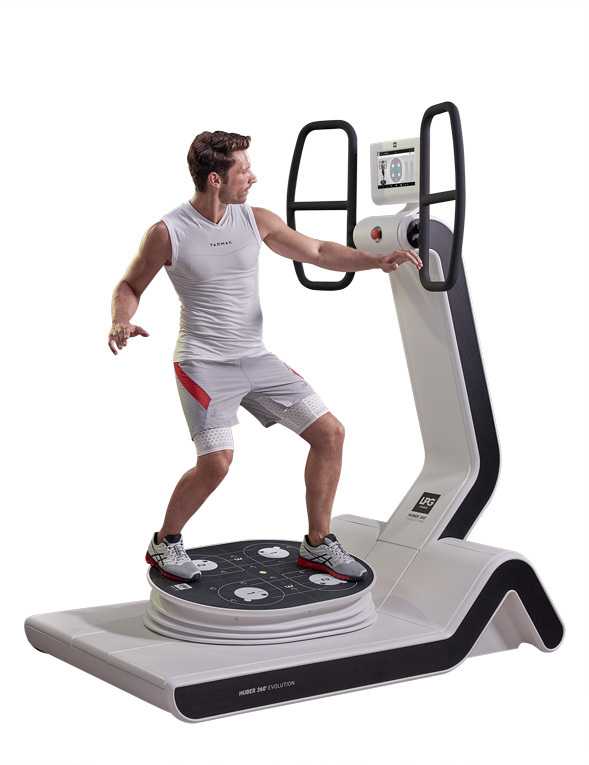 HUBER 360® EVOLUTION offers patients the opportunity to receive individualized training, supported by a healthcare professional for a safe and effective workout.